Westward Expansion - a collection of resources for home school, after school and unit study on the Oregon Trail, Lewis and Clark, Wild West, Native American, pioneers, Little House on the Prairie. Vocabulary includes: exploration, pioneers, geography, Indian resistance, and "Manifest Destiny"
This unit study includes Cowboys and covered wagons. It takes us through the understanding of the displacement of the Native Peoples in the Trail of Tears. (Did you know that some historians believe that the tears came from the settlers who WATCHED tribes being forced marched past their homes to 'reservations'. We journey through 'new' lands with Lewis, Clark and Sacajawea. Weeks of hands-on and drama reenactment, we enjoyed exploring the hard life on the prairie with Little House on the Prairie. 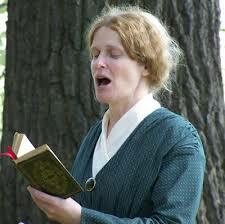 This 4 week unit study takes us from the end of the American Revolution, to the late 1800's. Create a 'actual sized' covered wagon space. 10 feet by 4 feet outline with yarn. 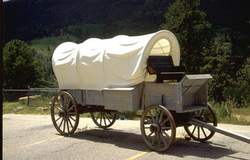 'pack' your wagon and play pioneer. such as restricting the use of tobacco and dietary and dress reforms. Women's roles in the church were greatly affected and they deeply encouraged the religious revival, setting up many organizations and charities. The Pony Express was a mail service delivering messages, newspapers, mail, and small packages from St. Joseph, Missouri, across the Great Plains, over the Rocky Mountains and the Sierra Nevada to Sacramento, California, by horseback, using a series of relay stations. During its 18 months of operation, it reduced the time for messages to travel between the Atlantic and Pacific coasts to about 10 days. From April 3, 1860, to October 1861, it became the West's most direct means of east–west communication before the telegraph was established and was vital for tying the new state of California with the rest of the country. The youngest rider was 11. Here is a site with biographies of the riders. 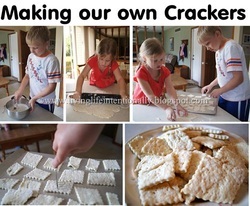 There are many crafts to add hands-on fun. ~ Eclectic Education has a wonderful Little House Unit Study page on Squidoo that includes all sorts of Little House activity pages, printables and links. MADE FOR TV SERIES on the INGALLs. We enjoyed it because it didn't have too much drama. Brought out some of the hardship. It doesn't go along with the book but was useful to visualize the time period before we began the study. I created a playlist in YOUTUBE of my favorite Westward Expansion / Pioneer multi media videos for my kids ages 7 - 11. This quote I heard on another video. 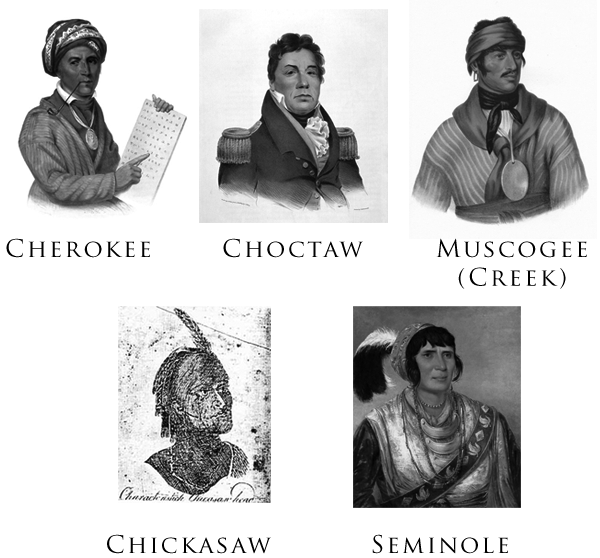 "Some say that the Cherokee who marched were silent. The tears that were shed where those who -coming out of their houses saw the march and wept. Those witnesses pleaded with the soldiers."